After a long day of camping, it’s nice to be able to look forward to a restful night of sleep. 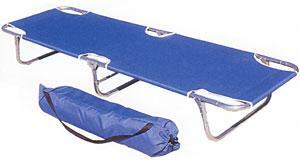 Our camp sleeping collection offers a wide variety of sleeping options, such as hammocks, sleeping bags and cots. 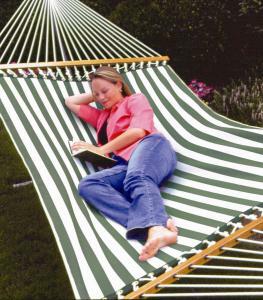 Are you looking for something to keep your back comfortable while sleeping in a tent? 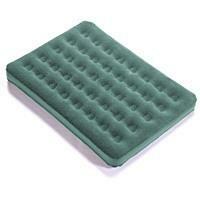 Our air mattress collection features a number of self-inflatable models that will keep you comfy. We also carry an extensive collection of pillows, to ensure your head and neck won’t get sore overnight Each camp sleeping product we sell, like all of our merchandise, comes with a 100% money-back guarantee, so you can buy with confidence. The pluses? Very roomy and very warm. Easily fits a 6' person. Warmest bag I've owned yet. Hidden velcroed pocket inside at chest level. It's a rectangle bag w/ a -25 rating; those are tuff to find! You can Velcro the zipper so it doesn't open while you sleep. Now the minuses. The draft tube is narrow compared to other bags, so it barely covers the zipper and cold air can leak in. Lining is plaid patterned soft cotton which is warmer than nylon but it's not flannel. The hood is not removable (but has a cord so can be cinched). The zipper does not go all the way down the side and around the bottom of the bag so the bag can't be opened flat to use as a blanket or zip two together. Most frustrating & challenging thing is trying to get the bag back into the compression sack. The outside of the bag is nylon and very slippery. It takes 2 people to compress it enough to get it back into the compression sack. 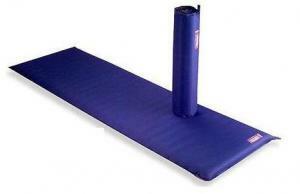 We are solving that issue by purchasing XL sleeping storage bags. However,with the bag not compressed it'll take up tons of space in our car. Overall the bag exceeds our needs for the price and we are happy with them, just wish there were a few of the above improvements. Really nice, shipped and received as promised. Good quality and price. It's not light, but it is super warm and roomy. Disappointing. They were not what I thought they would be. I did not want all nylon sleeping bags. 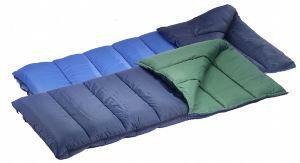 This sleeping bag is very comfortable and warm and a great price. I really like SnugPak gear, and have never had anything negative about them but.... the zipper on this bag busted on the first night out. the double pull "pulled" off just after i got into my hammock and went to close my bag. the good thing was even though the bag was not zipped, it did keep me warm, and nothing a needle and thread couldn't handle in by morning fire. So if a faulty zipper keeps you from buying something, then perhaps you shouldn't leave the house. But if you want a great bag then get a SnugPak. Lots of room in the body and footbox. Zippers were great. Packs pretty big but I'd rather be warm than light when winter camping in the NH presidentials.